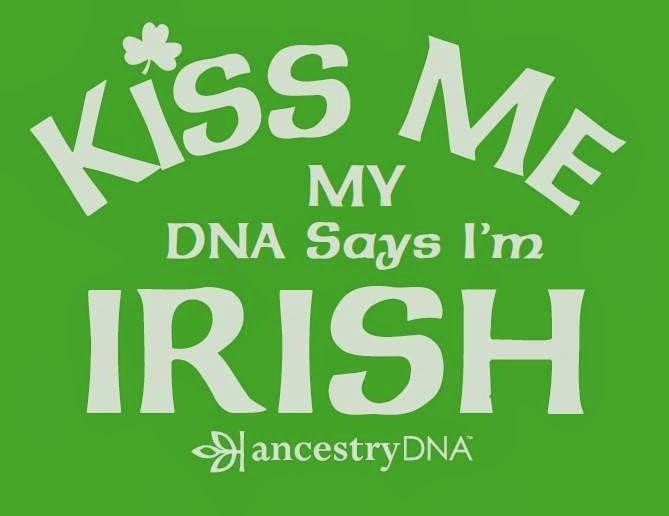 Genea-Musings: Happy St. Patrick's Day - I Didn't Know I Was Irish Until My DNA Told Me So! 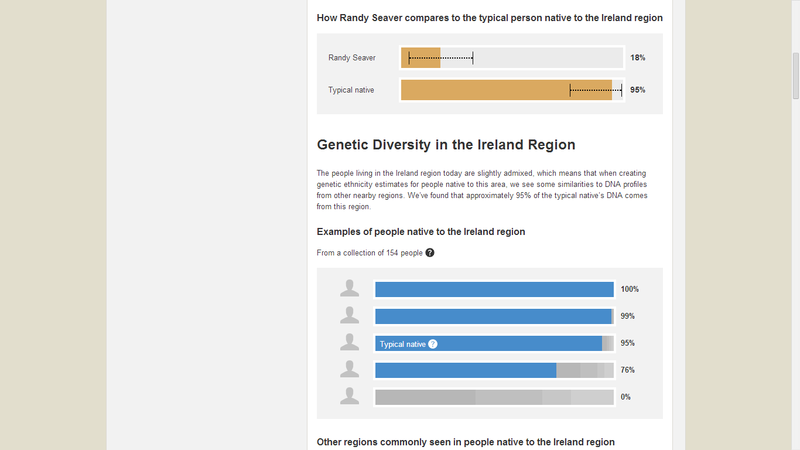 I had these same questions when I first got my Ancestry results about two years ago - saying I was 42% Ireland. I've got 6-8 generations in most lines that points to England, Scotland, Wales with only one line, 3rd great grandparents coming from Northern Ireland. In submitting those test results to other sites, they put a different context to the information. Given the "about 2000 years ago" reality of the genetic information, they talked about this part of my DNA as Celtic which is completely logical. 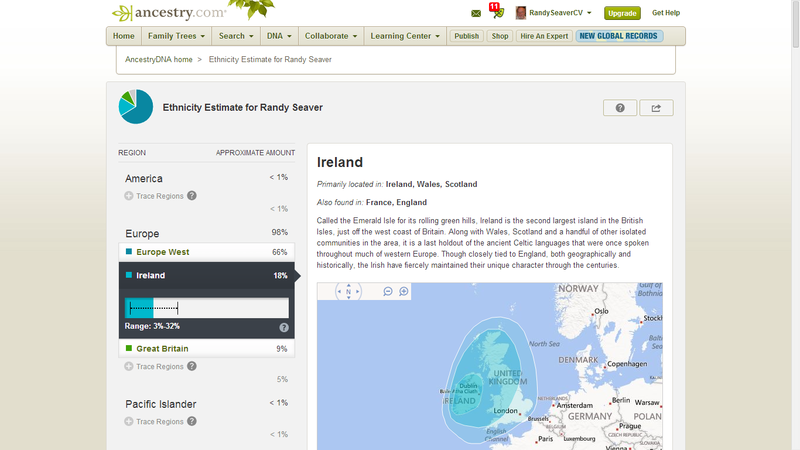 A few months ago, Ancestry shifted the description of my heritage to Ireland/Scotland/Wales and discussed the Celtic heritage. The graphic presentation of the data changed a bit as well. Was the screen shot in this post from the current presentation or a few months ago? I has a subtext Ireland/Wales/Scotland, but in what I'm getting on mine now, the Ireland/Sotland/Wales is in the top line. In any case, Éirinn go Brách !